The Big Idea: A visual reminder can help kids remember the four steps of handwashing. Print this page and invite kids to color it in, then help them cut it apart and put the steps in order. Post the cards in the correct sequence near the bathroom sink. 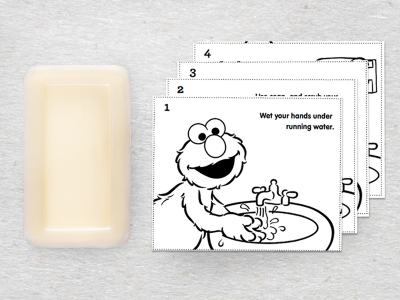 The next time kids wash their hands, help them try Elmo’s trick: Sing the alphabet song to remember how long to wash!